There are two memorials to those who lost their lives in the 1914-18 War. 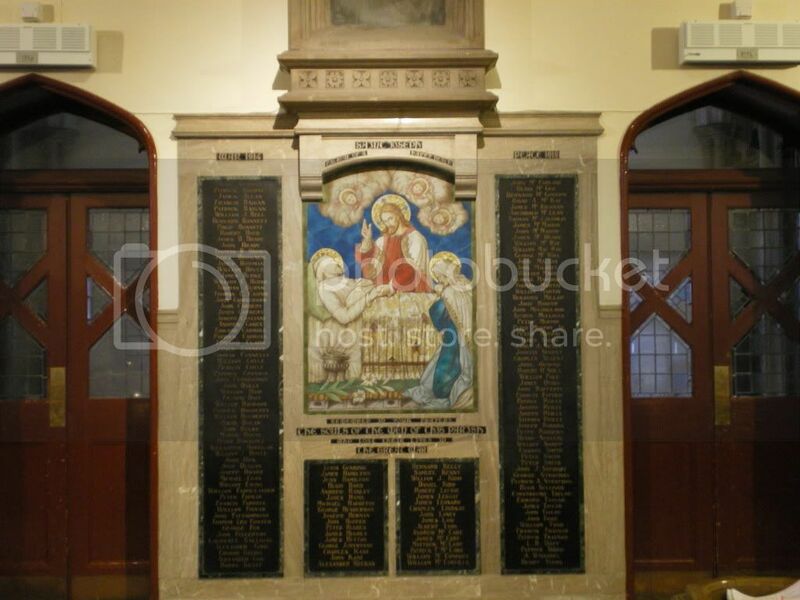 On the North wall of the nave, facing the Sanctuary, are listed the names of 160 men of the parish who lost their lives in the Great War. The memorial comprises three marble slabs. 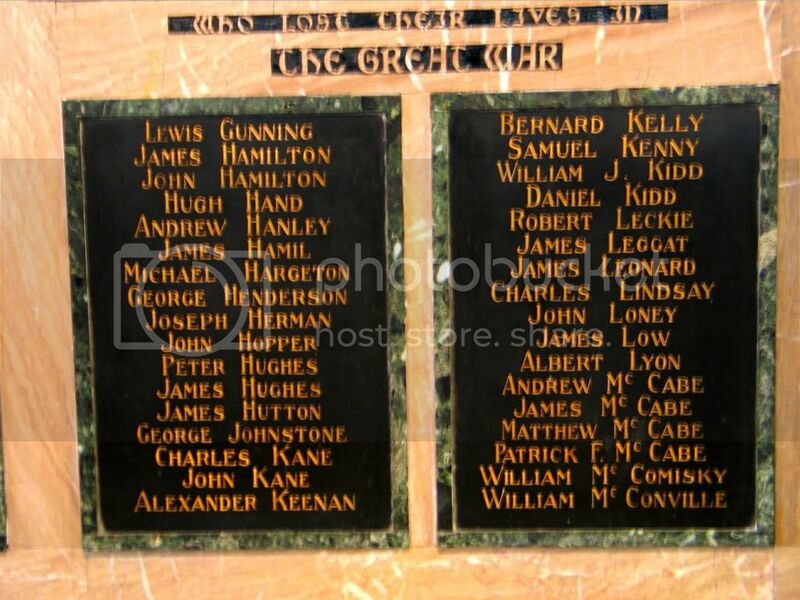 The outer two list the names of the fallen. The centre slab, in coloured mosaic, depicts the death of St. Joseph with Our Lord and the Blessed Virgin at the bedside. After the blessing and dedication by Bishop John Toner, Bishop of Dunkeld, the memorial was unveiled on 19th March 1922 by Major Noel of Pitkerro House, Broughty Ferry. 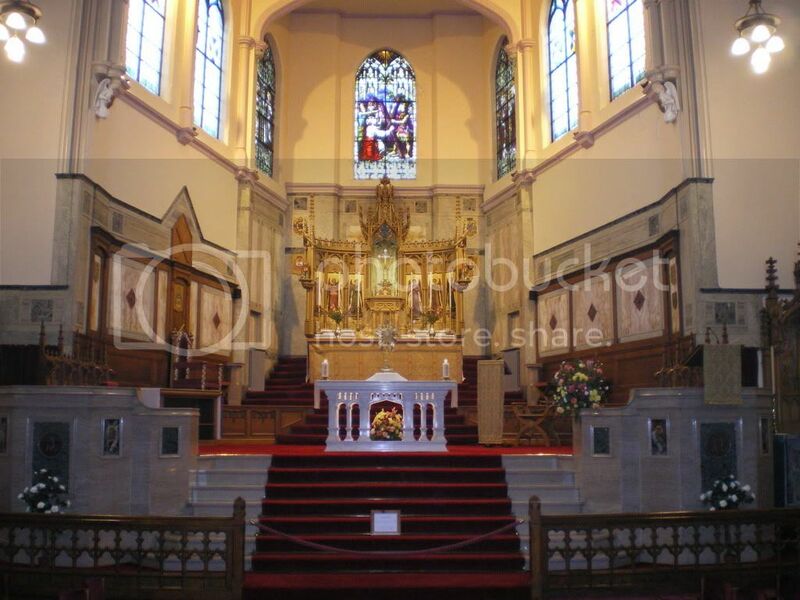 In 1921, the Sanctuary of the Cathedral was extensively reconstructed as a War Memorial to the men of the parish who lost their lives in the Great War. The Cathedral re-opened on Sunday 5th February 1922. Congratulations on some great pics. Do you have any close-ups of the inscriptions by chance? 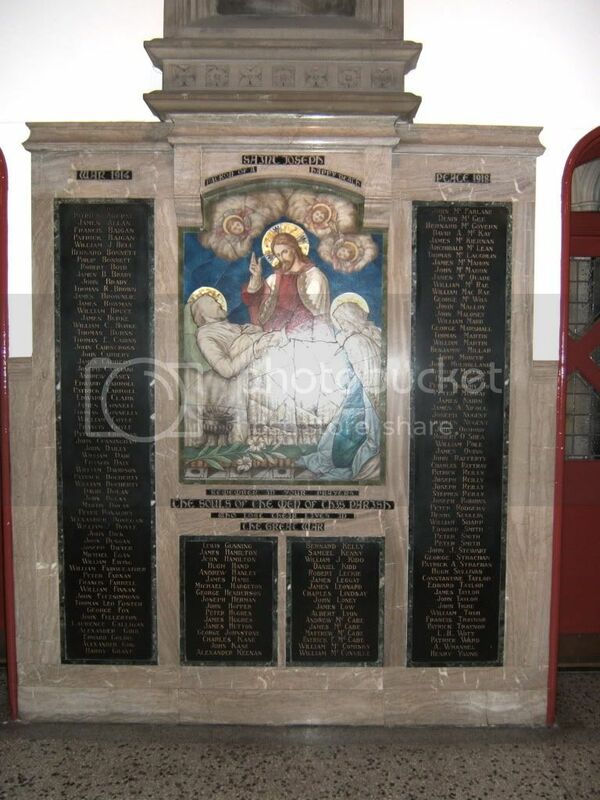 Surprisingly I cannot find these memorials listed on UKNIWM. The Sanctuary has no inscription. 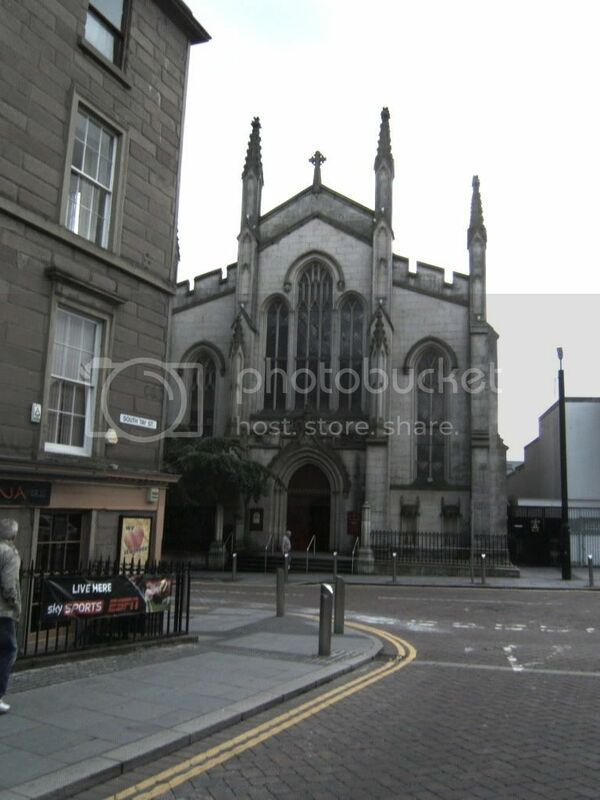 The details are from the archives of the the Diocese of Dunkeld, 24-28 Lawside Road, Dundee DD3 6XY. A blow-up of the inscription below the picture depicting the death of St Joseph is below. The pix I have would not bear too much magnification, I will be away for a week or so but will try to take legible shots of the name panels sometime on my return. Welcome to the forum and thanks for posting these photos. it's not easy getting photographs in a church and a lot of mine are terrible but yours have turned out really well. It will be great if you can get some close ups of them at some point in the future. I like the way they've done the dates WAR 1914- PEACE 1918. I've never seen that inscription before. Shots should stand a bit of magnification if necessary.